Alamo Rent A Car provides a wide selection of vehicles for personal car rental needs. Car rental options range from economy and compact cars to convertibles, SUVs, luxury cars, minivans, pickup trucks, cargo vans, 15 passenger vans, and hybrids. Alamo offers exceptional rates on a wide selection of rental cars. Alamo.com offers internet-only car rental exclusives, daily, weekly, weekend and one-way rental car specials. Planning and reserving a rental car for your vacation couldn't be easier. Special Terms: Member rewards will be awarded on completion of travel. 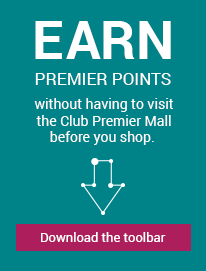 Purchases made offline are not eligible for rewards. Sales Taxes and Other Governmentally Mandated Charges; Mandatory Airport Related Charges. States, counties, cities and other governmental authorities may impose sales taxes, gross receipts taxes, fees and other mandatory charges, such as arena or stadium fees, on customers of car rental companies or car rental transactions. These charges appear in the charges section of this Agreement. For other information check https://www.alamo.com/en_US/car-rental-faqs/taxes-surcharges-fees.html. We accept American Express, MasterCard, VISA, Discover Network, and JCB. Cancellations are accepted up to one calendar day before reservation date. Reservations canceled more than 24 hours before the pick up time are free. If the reservation is canceled within 24 hours of the pick up or if the reservation is not used, a $50 cancellation fee will apply.